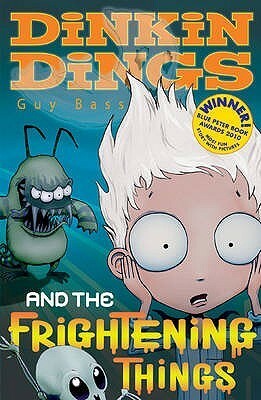 Dinkin Dings and the Frightening Things is great fun! My children and I read it as a bedtime story (actually, my 8-year-old read it to the rest of us) and we thoroughly enjoyed it. The ending has a nice twist–one that our family literally screeched over–and the journey to get there is worth it! The Frightening Things are funny and loveable–as is Dinkin, himself. The book is a fast, easy read, rife with imagination, silliness and plenty of laughs. It’s a delightful spooky read that isn’t TOO spooky. It’s a great independent, bedtime or classroom choice–especially in October!